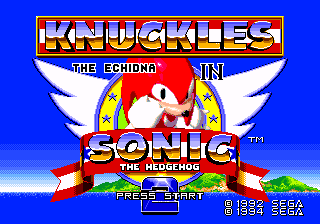 Knuckles in Sonic 2 prototype 0608 for the Sega Mega Drive was released by drx during the February 23rd, 2008 proto release. Level Select is not enabled by default. At the title screen, pressing , , , , , , , , and then + Start will enable it. This code is very similar to the Konami Code. This page was last edited on 7 April 2019, at 11:38.